Home » Natural remedies » Naturopathy » What should you eat if you have a headache? What should you eat if you have a headache? Many foods are actually just as effective as medication. 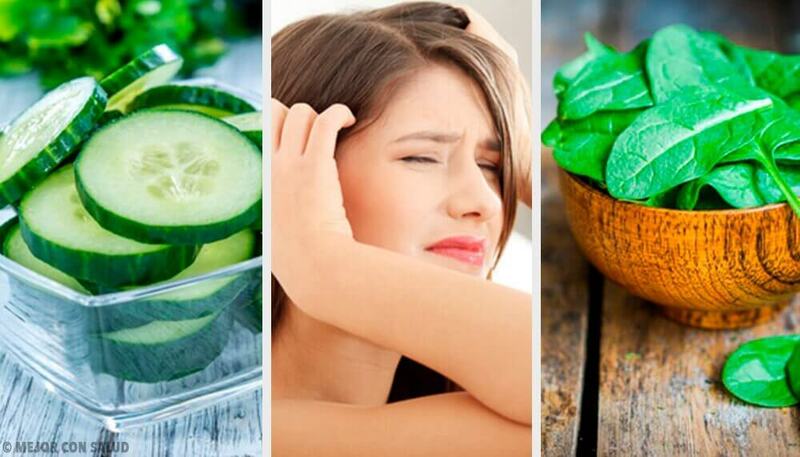 Below we’ll tell you which foods can help get rid of your painful headache. Headaches are very common and can be quite painful. To reduce the pain and keep it from interfering in your day, take a look at these foods. They have the power to soothe or prevent headaches. When it comes to causes, headaches have many, ranging from stress to a poor diet. People who have recently given up smoking or consuming a lot of caffeine are also prone to headaches. The good news is that if you don’t want to take medication, there are options. The chemical compositions of certain foods can work just as well. Read on! 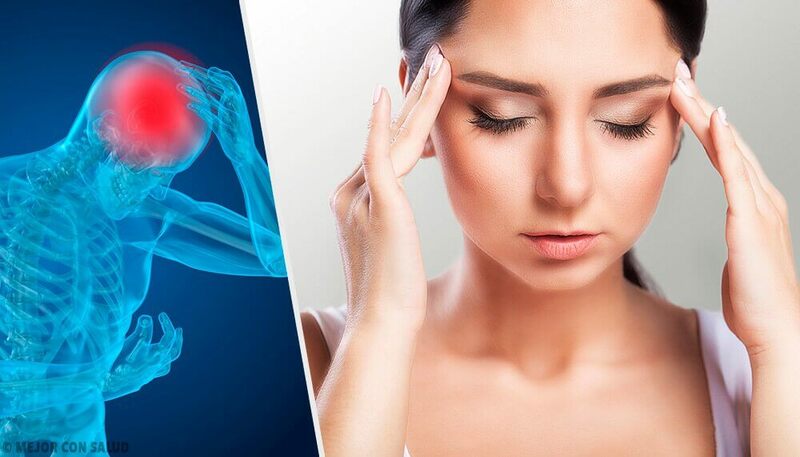 Headaches are usually related to low magnesium levels. This is because when your magnesium levels are not good, your blood vessels weaken and can’t do their job. Consequently, your nerves won’t be able to relax. 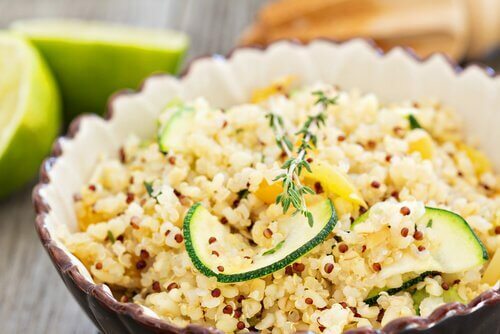 It’s time to look for foods rich in magnesium, and quinoa is a great option. So, if you are trying to get rid of a headache, don’t forget about quinoa! Cucumbers are 95% water, perfect for hydrating your body. Therefore, they have the power to significantly improve your headache. 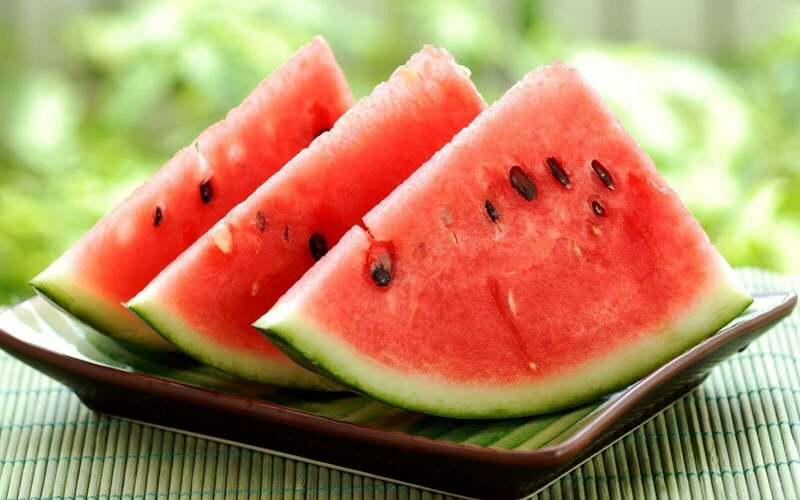 Watermelon is another fruit that contains a lot of water, which makes it an ideal food to counteract dehydration. It is also rich in magnesium and potassium. These nutrients make watermelon great for when you have a headache. Potatoes are a good choice if you have a headache. This is because they are high in potassium, which will help alleviate your headache and can also prevent them. However, you have to be careful because French fries are not the best option. You can bake them with their skin on, for example, and take in up to 600 mg of potassium. As with potatoes, bananas contain high amounts of potassium and magnesium. 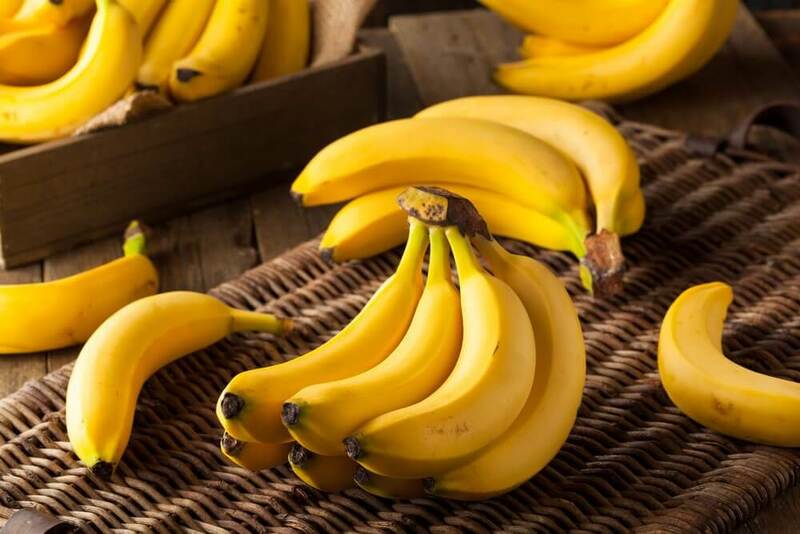 It’s a combination that makes bananas capable of alleviating any type of headache. Pineapple can be a great food for headaches. It is a fruit that contains a natural enzyme known as bromelain. Bromelain makes it a great natural inflammatory. 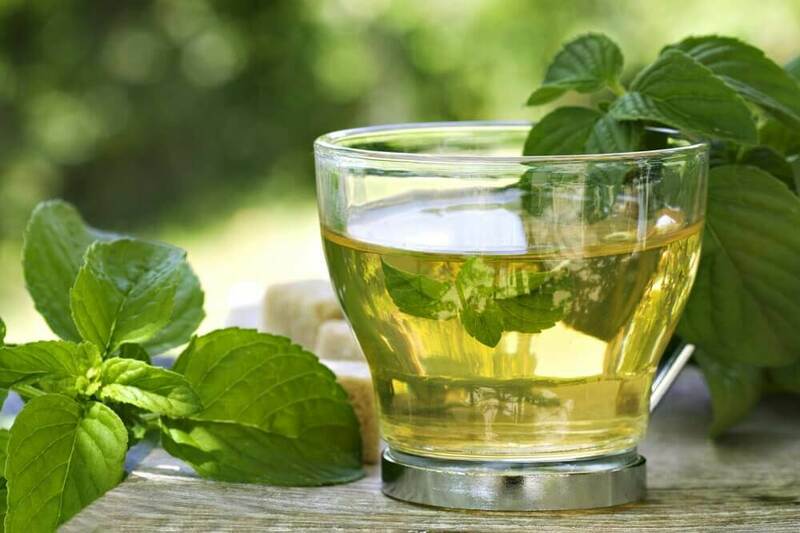 Mint tea acts as a vasodilator. Therefore it will help slow down your blood flow and relax your nerves immediately. Even if you don’t drink it, you can still benefit from it. Put two drops of essential mint oil on your temples and lightly massage them. This will alleviate the pain and clear your head. There are many causes of headaches. Hormonal changes are one of them and the riboflavin found in spinach can help restore balance and thus give you some relief from your headache. Any type of green leaf vegetable, for the most part, will have the same effect as spinach. 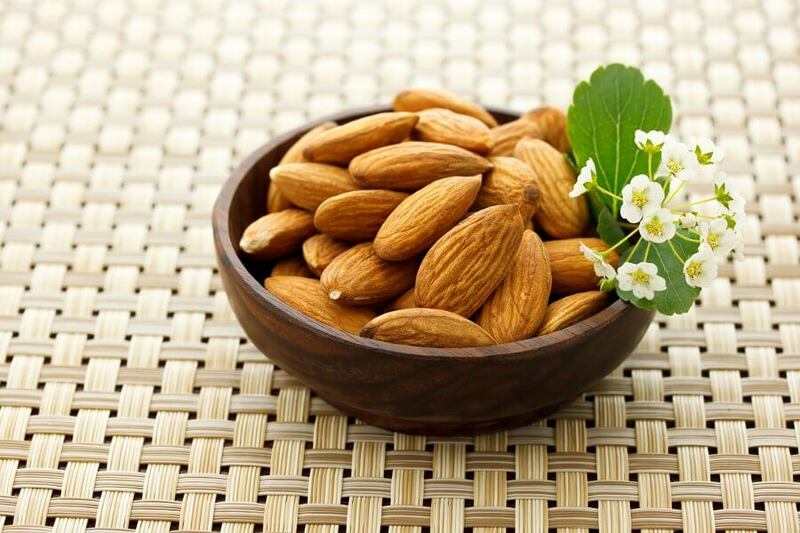 Almonds contain high levels of salicylic acid. This makes them equally — or more — effective than aspirin. They’re an excellent alternative for those who want to get rid of their headache without taking medicine. Fish are rich in omega 3 fatty acids. Salmon, tuna and sardines contain especially high amounts. Thanks to their anti-inflammatory properties, they’re another good alternative to pain relievers if you have a headache. 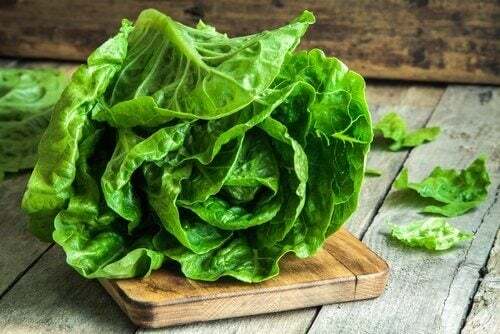 In the Middle Ages, lettuce was used as a natural sedative and its effects were compared to those of opium. Since then, its consumption has been normalized to the point where we’ve forgotten about this power of lettuce. However, if your head hurts, you can eat a salad and find some relief.